It's funny how many people I know that have had a Bone Thugs phase-a time when all they would listen to was the smooth sounds of the Cleveland rappers. I know I had one; about 9th grade I had jams like "Notorious Thugz," "Days of Our Lives," and of course, "Crossroads," on repeat. 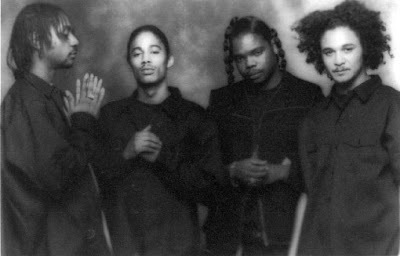 Bone Thugs was always somewhere in between a hard rap group and a gospel choir, shifting between melodic and aggressive with a natural ease. Each rapper of the group brought a different style and flavor to the table, but their common bond were deliveries which often sounded more musical than the actual instrumentals. Although it's impossible to pick a favorite, the Bone Thugs jam I've had on repeat lately is "Home" featuring the outta nowhere collaboration with Phil Collins. A classic Bone track, the video really puts this one over the top-why so awkward Phil? With effortless style, this is a perfect introduction to Bone Thugs, or for long time fans, well worth a repeat listen.